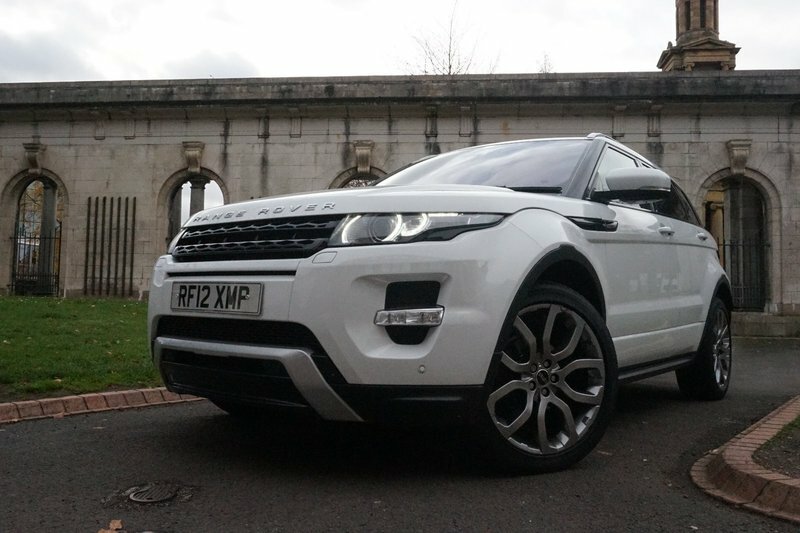 We welcome you an astonishing Range Rover Evoque Dynamic Lux Edition with just ONE OWNER from new. Complimented with Dual View Touch Screen, 20" Sport Style 7 Chrome Shadow Alloys, PAN ROOF, Meridian Sound, Blind Spot Monitor, Heated Steering, Reverse Camera, Electric Tailgate and Park Assist. Full service history with Guy Salmon Jaguar Ascot (5 times) - New service to be put on in Nov 18! MOT til 06/07/19. Spare key included. 3 Month Warranty (can be extended to 24 months), Low rate Finance package available! PX Welcome! 12 Month AA Break Down Cover! We are open Sundays too! Please call to arrange an appointment!